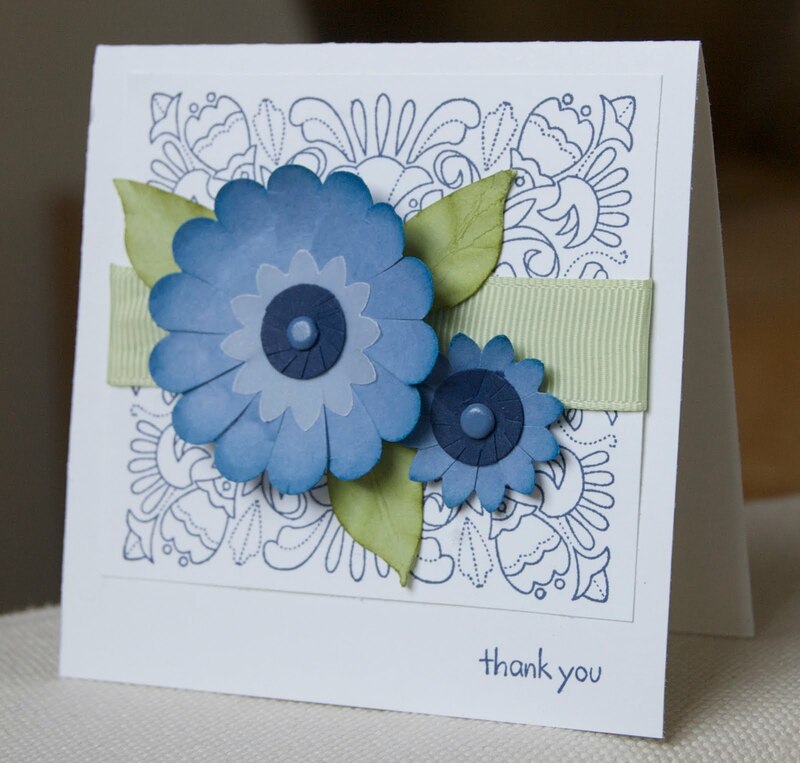 There are four new background stamps in the new mini catalogue and this one - Fine Flourish - is one of them. It works really well as a simple one colour print but could also be coloured in to make a big impact. The others are basic dots and stripes and there's an alphabet one too - all really useful building blocks for cards and scrapbooking that you'll want to use again and again. You are so right about thank you cards vs. e-mails, but I must admit that I'm much better at making cards than actually sending them. I definitely need to work on that! Anyway, great flowers on this card -- and such a good idea to use the wings as leaves! That's a great background, too -- and you used it fantastically! Clever use of the bird wings! I used them once for the flame on a large birthday candle.